National Butterfly Center, on Aug. 3, 2017 in Mission. 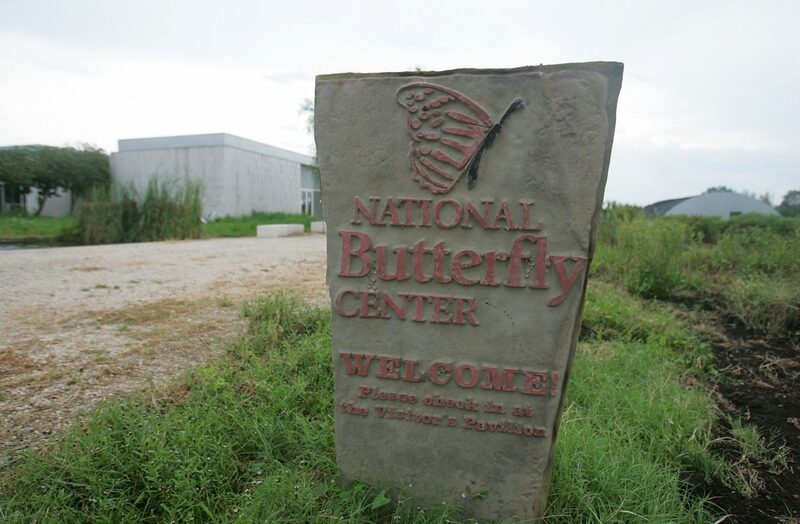 A year removed from a march protesting the administration’s plan to build a wall near the Rio Grande, the National Butterfly Center is hosting a free event Sunday. Dubbed “Reclaim the River,” the free, family friendly event is designed to promote and educate attendees about the river, the center’s website states. People can participate in planned activities, such as sand sculpting, Segway test drives, guided nature hikes, angler education and fishing for kids, and Project WILD Aquatic lessons, to name a few. Father Roy Snipes of Our Lady of Guadalupe Church will attend the event and will be blessing the river. “All boaters are welcome to join us, above Anzalduas Dam, upriver from Riverside Club, to receive this blessing,” the center’s website states. The event coincides with the year anniversary of the border wall protest in Mission last August when more than 1,000 people walked 4.2 miles from Our Lady of Guadalupe Catholic Church to the historic La Lomita Mission overlooking the Rio Grande. At that event, people convened at the chapel to celebrate its significance as part of Valley history, and recognize that the landmark would be relegated behind the erected structure — cutting off the public from the chapel and the river — should border wall construction be scheduled for levees in the area. For more information on the weekend events, visit the Butterfly Center’s website at www.NationalButterflyCenter.org.